Pumping Test is the examination of aquifer response, under stress (pumping of water). Drawdown is recorded while pumping is continued at the well. Pump testing is extremely useful but expensive at the same time. It is essential to make proper planning beforehand. A professional Hydrogeologist should be present during the test, make proper observations of the well/aquifer response to pumping and interpret the data. At least one observation well is required if storativity of the aquifer is to be determined. To bring down the cost of a pump test project, an existing well is often utilized if available. 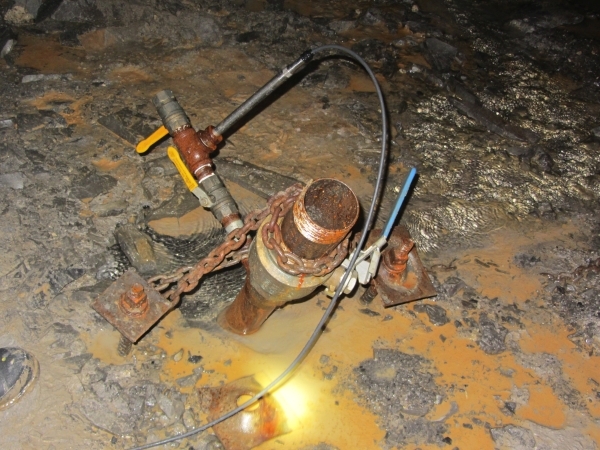 “Well Tests” are short term pump tests performed by the driller on newly constructed wells. Note: Depth to water table is also recorded after the pump is shut down. This part of the test is known as the “recovery test”. If the pump test is performed with variable discharge rate, then recovery test data provide more reliable information about the aquifer properties. It is recommended that recovery test should be continued till 95% of the pre-pumping level. aquifer test (determine aquifer parameters and examine water chemistry). Determine well yield. Well yield is a measure how much water can be withdrawn from the well over a period of time and measured in gallons per minute or gallons per day. Determine the suitable depth of pump. In confined aquifer, transmissivity is much more important that the storativity; while in unconfined aquifer storativity is much larger. An observation well is required for the unconfined aquifer. Rate of pumping should be determined based on “Step Down Pump test” for new wells. Notify owners of nearby wells before starting the pump test. If possible, any pumping from the nearby wells should be avoided. Plan water discharged during the test; make sure the discharge water is not recirculating into the aquifer being pumped. Record groundwater levels in the pumping and observation wells at least 24 hour before the test if possible. Record drawdown in the pumping well and in the observations wells during pumping and recovery.